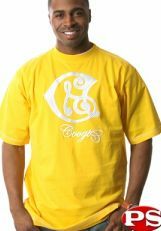 Born in Australia, raised in Europe and making a name for itself on the streets of America, Coogi is undeniably unique. 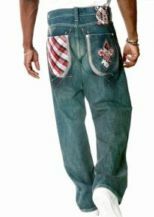 Fashioned for today’s style-savvy male, Coogi features luxurious designs, bold colors and vibrant patterns that often include unusual knitting techniques and twisted yarn patterns. 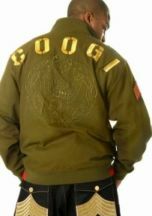 Like the customer it represents, Coogi is trend-setting and fashion-forward. 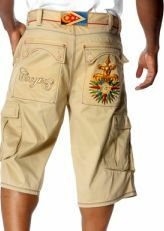 Ultimate Hip Hop Gear is proud to offer a Hot selection including Coogi jeans, Coogi jackets, Coogi hoodies and NEW to the line, Coogi shoes! 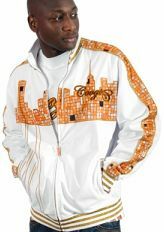 Shop our fine collection of Coogi at Ultimate Hip Hop Gear! 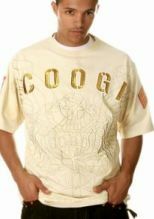 Coogi has built an extremely successful international market, exporting garments to over 25 countries. Its clothing line is receiving unequaled international acclaim for its original designs, timeless beauty, and distinctiveness. Each garment reflects a passion for artistic distinction and knitting precision. The company is a modern master of crafted clothing. Add to that mix a dedication to detail and quality and you have a tough brand to beat. It's no surprise that the brand is so popular since they continually strive to bring unique, quality merchandise to the marketplace. In short, this brand is the epitome of luxury urban brand for the discriminating upscale urban consumer.